Fish oil is oil derived from fatty fish such as anchovy, sardines, mackerel, trout, and salmon. Fish oil is a good source of two specific long chain polyunsaturated fatty acids (omega-3) known as EPA (Eicosapentaenoic acid) and DHA (Docosahexaenoic acid). These two omega-3 fatty acids provide a wide range of health benefits. The general recommendation is to aim for around 2-4 grams of omega-3 fatty acids preferably in the form of EPA and DHA per day. Ideally you would get this from a natural source like wild caught fish, but if you have limited access to these, you can use supplements to get the optimal dose. If you are a competing athlete, a higher daily dose may be recommended to prevent inflammation, enhance recovery, improve endurance performance. Talk to your doctor if you think you may need more. MCT = medium chain triglycerides (6-12 carbon atoms in the fatty acid chain). When ingested these fats are not treated the same way as other fats, that is first picked apart and travel around the body with the blood. MCTs are transported directly to the liver for oxidation, and the energy is hence readily available. This is why they provide energy quickly from the time of ingestion. MCT oil is one of the most stable oils around, which means that it very rarely oxidizes. Keep your fish oil in the fridge. Omega-3s react to light, heat and oxygen and can turn rancid. Rancid fish oil, based on the smell and taste should be discarded immediately. 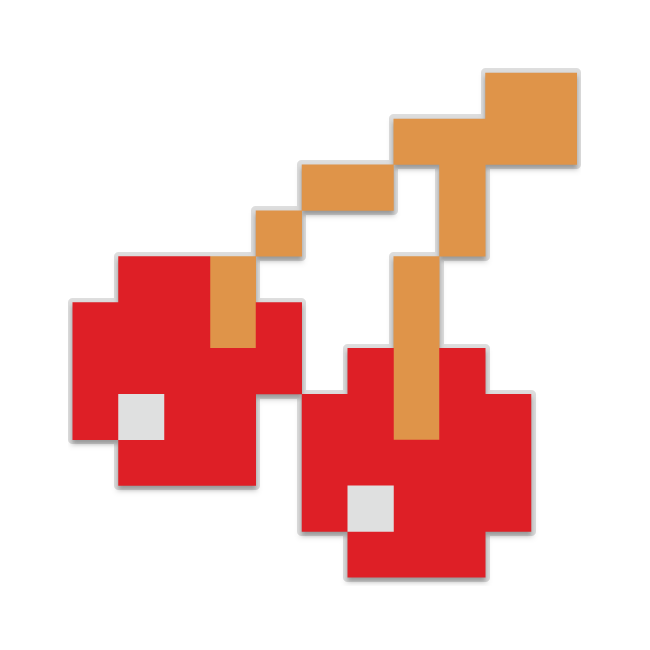 If you find yourself asking whether you should take the liquid or capsule O3, be assured that you can take either. The health benefits are the same — it’s simply which method of delivery you prefer. 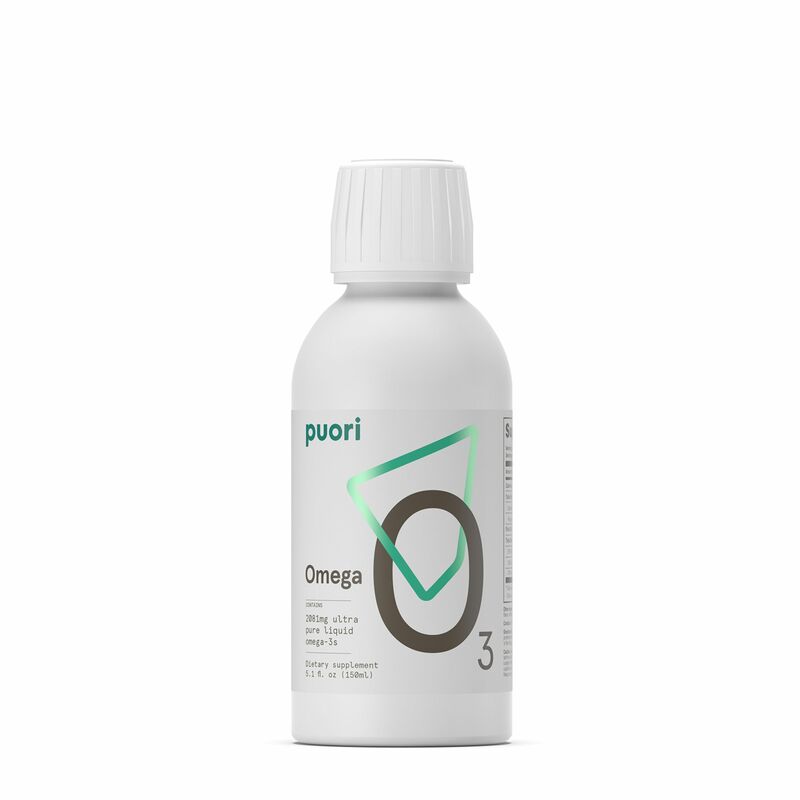 Puori O3 liquid fish oil is pure and stable just like the Puori O3 capsules. The liquid fish oil can be used in a variety of ways; you can sip it from a spoon or blend it in your smoothie or food. It is great for those who struggle to swallow pills and it is the perfect choice for children from three years. The capsules are a convenient and hassle-free way of quickly getting the beneficial fish oil, and the capsules are easy to bring with you on the go. The O3 liquid contains 150 ml, which corresponds to 30 servings whereas the O3 contain 120 capsules, which corresponds to 40 servings. What to choose depends entirely on your preference. 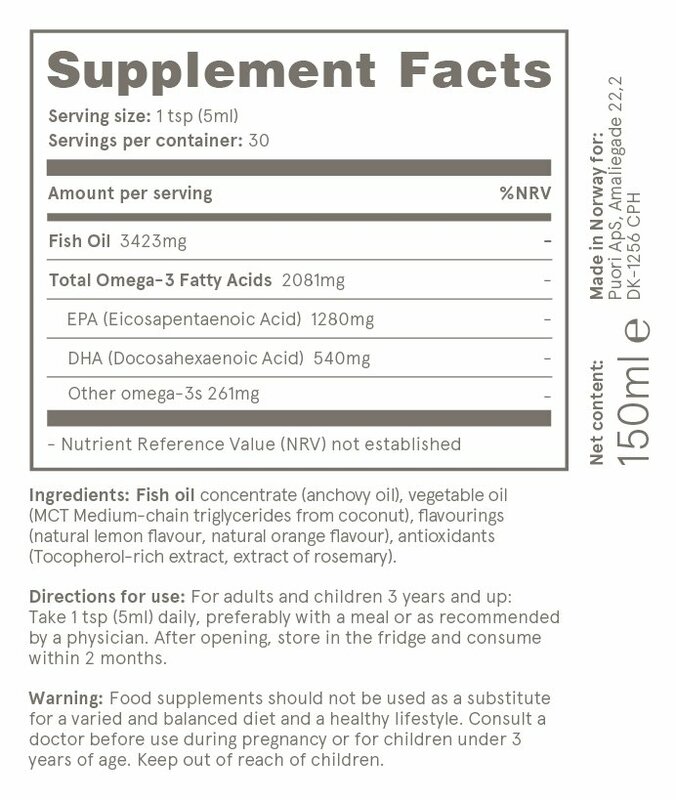 Secondly, look at how much EPA and DHA each serving provides – this is far more important than the “total fish oil” amount. The fish oil needs to be highly concentrated to get the best effects and means a lower dose is necessary each day to get the same results. Choose fish oils free of artificial flavors and artificial sweeteners. How and when do I take Puori O3 Liquid? It’s best to take your fish oil with meals. You can choose whether to take your daily dose all at once or divided throughout the day.